On the world’s largest social media platform, users routinely find adhering to Facebook’s seemingly trivial community standards burdensome. Far-right extremism, however, rarely seemed to violate those standards. Thanks to pressure from several civil rights groups, scholars, and civil society, that may be about to change. 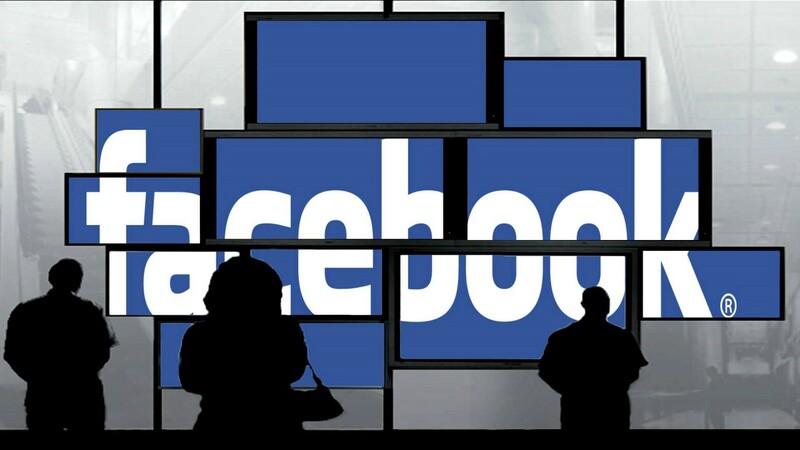 Facebook users have long questioned why hate groups have been allowed to prosper using the company’s myriad platforms. The social media giant clearly has the ability — and the right — to control the type of content that doesn’t fit its business model. But for too long, hate groups have used the platform to organize, strategize, recruit, and grow — nearly unabated. As Facebook tries to tackle this problem many are left to wonder if their actions will result in meaningful change. Writers and activists who focus on racism know what organized hate looks and feels like on Facebook. Let’s just say, it gets ugly, fast. While the site’s community standards explicitly state “organized hate” and content “that expresses support or praise for groups, leaders, or individuals involved in these activities,” is not allowed, Facebook rarely takes action on many of the hateful and threatening comments/posts reported. Having clearly defined lines as to what is, or is not, acceptable has never been an issue. The arbitrary enforcement of these rules, however, have long been a topic of contention. Facebook’s previous attempts to address hate groups and hate speech failed to address the issue head-on — allowing for constant attacks towards marginalized communities to continue nearly unabated for many years. Now, after years of doing little to prevent rampant targeted hate, it appears that Facebook might be ready to adhere to its own standards. On March 27, 2019, Facebook issued a press release titled “Standing Against Hate” in order to address the issue of hate speech and racism. In the latest press release, Facebook attempts to address the issue of removing hateful content. Many users, however, are reluctant and harbor a wait-and-see attitude due to the social media giant’s terrible history in determining what should and shouldn’t be removed. Facebook claims to have been fighting against hate speech for the past few years leaving many people to wonder if this will be any different than past failed efforts. While most hate groups and racists have their own spaces on the internet (4Chan, 8Chan, Gab, etc), they can’t spread their hate on those sites. Those spaces act more like echo-chambers and the only people they reach are those that already share their beliefs. The idea behind spreading their messages of hate is to recruit others and grow their numbers. Since social media is built on the premise of making connections with like-minded people, it’s only fitting that it became an ideal place for recruitment efforts. As the largest social media platform in the world, Facebook is a preferred tool for hate groups to spread their message and bolster their recruitment efforts precisely because of its extensive reach. Moving forward, one has to wonder how the Standing Against Hate announcement fits in with Mark Zuckerberg’s statement earlier this month outlining a “Privacy Focused Vision for Social Networking” where he mentions “Private Interactions” among users. Such a move would seemingly cut down on the amount of hate speech we see on the platform in itself while allowing for hate group recruitment to continue. Zuckerberg goes on to discuss encryption and reducing the permanence of content. Encryption is important. Particularly for journalists, activists, and dissidents at home and abroad. The ability to use encryption saves lives. But it’s also used by terrorists and hate groups to communicate secretly and away from big brother’s prying eyes. This isn’t an argument against encryption, quite the contrary. Instead, it questions its use in this particular application. Trust in Facebook’s capability to keep user’s data private is arguably at an all-time low and these new privacy features are expected to be welcomed by most users. Privacy, encryption, reducing the permanence of what you post, should be embraced. They benefit all of us. Once again, in this context, its use is suspect. While we celebrate Facebook’s Standing Against Hate press release, hate groups are likely celebrating a more private, yet equally accessible social media platform. As most media outlets bite into the latest announcement for clicks, we can’t overlook the gifts being handed to the same hateful people that thrive on the network today. When reviewing both announcements in the overall context of rampant hate online, it’s easy to see that Facebook has opted to market itself as an organization that really cares about fighting racism. But the facts behind these reactive statements dictate otherwise. It seems as though more tools are being offered to retain its user base, racist or not, without alienating anyone in order to maintain its status as a marketing giant. Issuing contradictory statements like the two discussed in this piece is what Facebook has always done. When it comes to content management, they stick to what sells. Whether it’s hate or social justice, their moral ambiguity is striking. If any given issue threatens to impact their bottom line, they pay lip service while doing little-to-nothing about tackling the actual issues that are causing harm. Their unwillingness to curb hateful rhetoric inevitably leads to hateful actions against marginalized communities. Facebook is not the only social media platform with these issues. But Facebook is by far the largest and should be viewed as a leader in the industry. However, Facebook is the perfect test case for what-not-to-do taking their social responsibility and throwing out the window. If people are their product, then they are purposely creating and selling tainted goods. There is no shortage of hate groups in America and they continued to grow exponentially using Facebook. From white genocide to white identity politics; hate groups are pushing an agenda that is meant to strike fear while creating an atmosphere of hate towards people that don’t look, act, or speak the way they do. As hate crimes increase, so does the membership of hate groups and militias. Facebook doesn’t want to address these issues. Mark Zuckerberg just wants to maintain the inflow of advertising dollars and keep shareholders happy. Plenty of hatemongers will continue to thrive on social media. Many have already learned how to circumvent the rules by using coded language or attempting to sound like they’re coming from an intellectual place. They hide behind terminologies like nationalism and identity politics and slogans like Make America Great Again and America First. For the most part, it’s just hateful rhetoric using selective phrasing for pure unadulterated racism. No anti-racist should ever back down from having discussions with racists or just calling them out when necessary. Whether they’re hiding behind Facebook Pages, sock puppet accounts, or private (hidden) groups, the onus will always be on us to address the issue directly and without assistance from supposedly socially-conscious corporations. While hate speech continues unabated, it shouldn’t surprise anyone when we find out that the people we see verbally and physically assault people of color in public are hiding within these groups. Facebook may be willing to take down all of the bigger and more well-known pages/groups and they may be willing to take down hateful comments/posts a little quicker. But, they are also providing these same groups more protections. Instead of expecting to see a dramatic decline in racism on the platform, we can expect to see more racists game the system and start coming back in droves. Facebook cannot control hate on its own platform if they can’t see what is being shared. Their business model is not one of social conscience. Instead, it’s designed to profit off of each and every user despite what their views may be. Thanks to public pressure, it’s becoming clear to social media giants that their roles in the spread of hateful rhetoric are a key driving force behind the rise in hate crimes and mass shootings. The problem is, they just don’t care.